The State Department is considering scaling back its direct involvement in online campaigns to discredit the Islamic State after a review by outside experts cast new doubt on the U.S. government’s ability to serve as a credible voice against the terrorist group’s propaganda, current and former U.S. officials said. The findings by the six-member panel, which included marketing experts from Silicon Valley and New York, have added to the uncertainty surrounding a State Department program that also faces another management shake-up with the departure of its second director in less than a year. State Department officials declined to release the review group’s findings, which were laid out in a 100-page collection of slides shortly before Thanksgiving. Officials also declined to identify participants in the study but said the panel included marketing experts and data scientists from California, Texas and New York. The “sprint team” spent three weeks reviewing U.S. messaging operations, including the work of the CSCC. The project was commissioned by the White House, but the panel’s credentials were questioned by some at State. None of the participants spoke Arabic, were knowledgeable about terrorist groups or had security clearances that would enable them to evaluate classified work. There are four things I want the public to know. First, when I got to work as secretary of state, I opted for convenience to use my personal email account, which was allowed by the State Department, because I thought it would be easier to carry just one device for my work and for my personal emails instead of two. Looking back, it would’ve been better if I’d simply used a second email account and carried a second phone, but at the time, this didn’t seem like an issue. Third, after I left office, the State Department asked former secretaries of state for our assistance in providing copies of work- related emails from our personal accounts. I responded right away and provided all my emails that could possibly be work-related, which totalled roughly 55,000 printed pages, even though I knew that the State Department already had the vast majority of them. We went through a thorough process to identify all of my work- related emails and deliver them to the State Department. At the end, I chose not to keep my private personal emails — emails about planning Chelsea’s wedding or my mother’s funeral arrangements, condolence notes to friends as well as yoga routines, family vacations, the other things you typically find in inboxes. I am very proud of the work that I and my colleagues and our public servants at the department did during my four years as secretary of state, and I look forward to people being able to see that for themselves. Again, looking back, it would’ve been better for me to use two separate phones and two email accounts. I thought using one device would be simpler, and obviously, it hasn’t worked out that way. So if we tell over 70,000 employees that they should secure their email accounts and “avoid conducting official Department business from your personal email accounts,” then we go off and use our own private non-government email, what leadership message are we sending out to the troops? Follow what I say not what I do? The secretary of state is the highest classifying authority at the State Department. Since she did not have a state.gov account, does this mean, she never sent/receive any classified material via email in the entirety of her tenure at the State Department? If so, was there a specific person who routinely checked classified email and cable traffic intended for the secretary of state? BREAKING: Clinton says she never sent classified material on personal email as secretary of state. The podium heads insist that there is no restriction in use of private emails. Never mind that this is exclusive use of private emails. If a junior diplomat or IT specialist sets-up his/her own email server to conduct government business at the home backyard shed in Northern Virginia, do you think Diplomatic Security would not be after him or her? Would he/she even gets tenured by the Tenuring Board despite systems management practices contrary to published guidelines? If the answer is “yes,” we’d really like to know how this works. For ordinary people. And then there’s this — if there were a hundred people at State that the then secretary of state regularly sent emails to, was there not a single one who said, “wait a minute’ this might not be such a great idea? Bottomline despite this brouhaha? Her personal email server will remain private. She has full control over what the public get to see. End of story. Or maybe not. BREAKING: Clinton says her personal email server will remain private. Oops, what’s this? Oh, dear. February 21, 2011 By domani spero in Countries 'n Regions, Huh? News, People, Public Diplomacy, State Department, Where Are They Now? Control of the state media is not the only way the oil-rich island kingdom polishes its reputation. A month before the arrests, one of Washington’s most powerful lobbying firms began working for Bahrain. Qorvis, a lobbying and public relations giant with a roster of high-profile clients from Intel and the Washington Post to Saudi Arabia and Equatorial Guinea, began work under a subcontract with Britain’s Bell Pottinger. Among its goals: to position Bahrain as a key ally in the war on terror and as an advocate for peace in the Middle East. As part of its work, Qorvis pitched major media outlets, including the New York Times, Washington Post, Wall Street Journal, Bloomberg, Associated Press and the Los Angeles Times, reports O’Dwyer’s PR Daily. One Qorvis staffers working on the account, former State Department Official Matt Lauer, was recently named one of Washington’s most influential people under 40. Lauer did not return several requests for comment. It is unclear what advice Qorvis is offering the government amid Bahrain’s current unrest, in which government soldiers have fired live rounds on thousands of protesters and at least six people have been killed and hundreds injured. Matt J. Lauer, according to his bio was the executive director of the U.S. Advisory Commission on Public Diplomacy at the Department of State prior to joining Qorvis. The commission, a bipartisan panel appointed by the president, analyzes and evaluates the U.S. government’s international public relations capabilities. 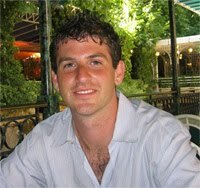 October 21, 2010 By domani spero in Book Notes, Legacy, Secretary of State, Where Are They Now? Keys to good management — Shultz shares insights gleaned from his vast experience as a labor negotiator, university president, and business leader, including the importance of letting employees know that their opinions matter and giving them a stake in outcomes, taking responsibility for decisions, and having a long-term strategy. Civil rights — Shultz recalls his time as a labor negotiator in Texas in the early 1960s and as the chairman of a committee tasked by President Nixon with ending school segregation. Human rights — Shultz recounts the delicate negotiations with Soviet leaders to obtain the release of dissident Soviet Jews, one of his proudest achievements as Secretary of State. 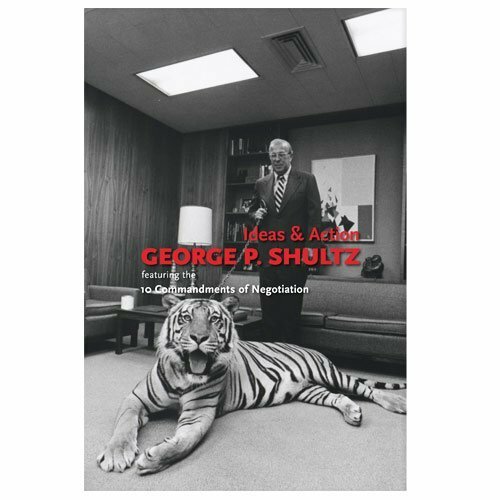 Success in Negotiations: Ten Commandments — Shultz imparts wisdom that has practical applications for all readers as he outlines ten principles for negotiations in work, business, and diplomacy. He illustrates each commandment with examples taken from his long career, from the Geneva and Reykjavik summits to the release of imprisoned American reporter Nicholas Daniloff, from the air-traffic controllers’ walkout in 1981 to the war in Grenada, and more. A World Free of Nuclear Weapons — Shultz continues to be a leading figure on the international stage. Along with Henry Kissinger, former senator Sam Nunn, and former Secretary of Defense William Perry, Shultz is a tireless advocate of nuclear disarmament. Mr. Shultz’s publications include Putting Our House in Order: A Citizen’s Guide to Social Security and Health Care Reform, with John B. Shoven (2008), Turmoil and Triumph: My Years as Secretary of State (1993), Economic Policy Beyond the Headlines (1977), and many more. October 15, 2010 By domani spero in Ambassadors, FSOs, WHA|Western Hemisphere, Where Are They Now? The Cohen Group announced today that Ambassador Craig Kelly, former Principal Deputy Assistant Secretary of State for Western Hemisphere Affairs, has joined the firm as a Vice President. “Ambassador Kelly is a widely respected professional and gifted diplomat who will help us serve our clients and expand our work in the Americas,” said Secretary William Cohen, chairman of The Cohen Group. As Principal Deputy Assistant Secretary of State for Western Hemisphere Affairs for the past three years, he was the United States’ senior-most professional diplomat for policy and management issues related to U.S. diplomacy in 34 countries from Canada to Chile and second-ranking State Department official responsible for these matters. He led his bureau’s economic and commercial diplomacy and was point person on sensitive issues such as Honduras and Cuba. From 2004 to 2007, he served as U.S. Ambassador to Chile, where he was a strong advocate for American business and launched several initiatives in science and technology, education and sports. Prior to this, he was the Executive Assistant to Secretary of State Colin Powell from 2001-2004, supervising Secretary Powell’s staff and traveling with him to more than ninety countries. Before this position, he was Chief of Staff to Under Secretary of State for Political Affairs Tom Pickering from 1999-2001. He also served as Chief of the Political-Military Affairs Unit at the U.S. Embassy in Paris, was the acting director of Western European Affairs at the National Security Council, and also served in U.S. Embassies in Rome, Italy, and Bogota, Colombia. Ambassador Kelly speaks Spanish, French, Italian and Portuguese. A native of the Los Angeles area, he received both his Ph.D. and undergraduate degree from UCLA, studied at the National War College, and earned a degree from France’s Ecole Nationale d’Administration (ENA) in Paris. The Cohen Group is a global strategic advisory firm led by former Secretary of Defense William S. Cohen. Founded in 2001 to help multinational business clients accelerate growth, pursue major initiatives, and overcome problems, The Cohen Group has offices in the U.S., United Kingdom, China and India and serves clients in North America, East Asia, South Asia, Europe, Russia, Australia, Africa and Latin America. Lt. General Harry Raduege, who served as Director of the Defense Information Systems Agency, Commander of the Joint Task Force Global Network Operations. The Cohen Group is comprised of 45 professionals with many centuries of combined experience working in top-level positions in Congress, the White House, the State Department, the Defense Department, the Department of Homeland Security, the intelligence community, other federal agencies, European and Asian governments, and international organizations. 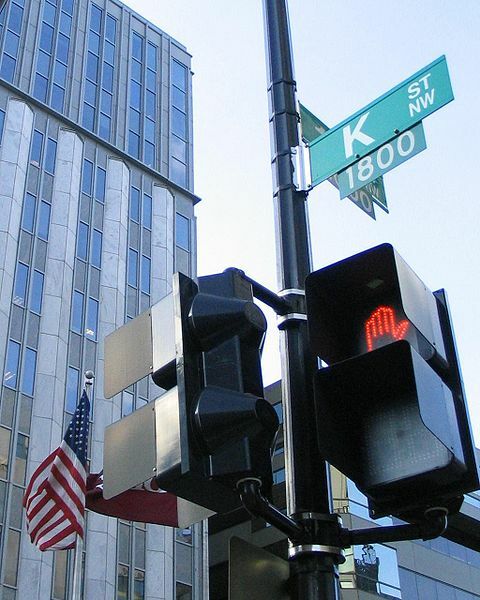 The Cohen Group assists its clients to better understand and shape the business, political, legal, regulatory, and media environments in which they operate. This includes developing strategic business plans to help clients achieve their objectives and actively participating with clients in the execution of those plans. The Cohen Group practice groups include Aerospace & Defense; Homeland Security; Information Technology & Telecommunications; Energy & Resources; Transportation & Logistics; Financial Services & Investment; Real Estate; China; and India. The Cohen Group also has a strong strategic partnership with DLA Piper, an international law firm with over 3,700 lawyers and 68 offices in 30 countries throughout the world. State Policy Planning staff official Jared Cohen informs colleagues of his last day after four years at State for a new job with Google. Last Thursday, September 2nd, was my last day in government. After four years on the Secretary of State’s Policy Planning Staff, I have accepted a job as the Director of a new entity at Google called “Google Ideas”. I will also serve as an Adjunct Fellow at the Council on Foreign Relations. The folks over at C Street who were “trying to get this guy shot in the head,” when the new administration came in (Alec Ross quote), might like to rethink about that dream job at Google.